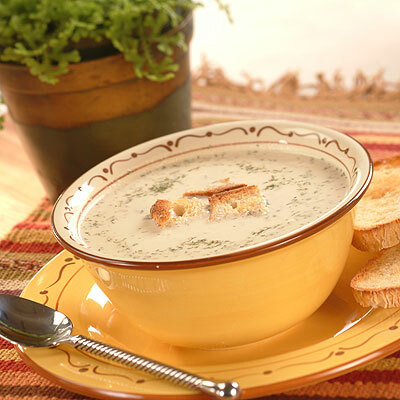 Quick Creamy Potato Soup is a quick fix to the winter chills. Ready in less than 30 minutes, too! MELT butter in medium saucepan over medium heat. Add onion; cook, stirring occasionally, for 1 to 2 minutes or until onion is tender. Stir in water, evaporated milk, potato flakes, seasoned salt and dill weed. Heat until mixture just comes to a boil. Season with pepper.